No money to be made in distribution? The race to the bottom is destroying profits? 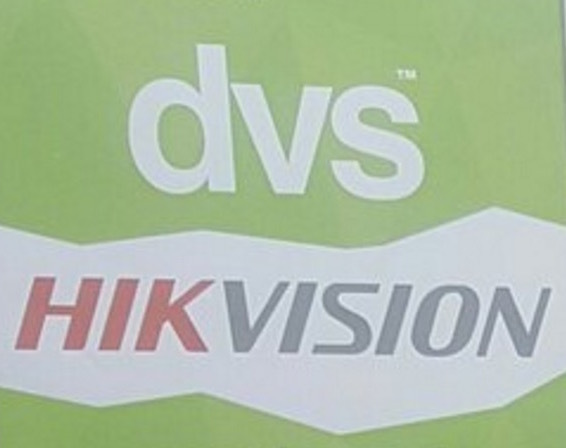 Well, not for Hikvision's largest European distributor, DVS. In this report, we review their financials, contrasting them to Tri-Ed, Ingram and Norbain to show how profitable the DVS / Hikvision combination is and what this means for the market. ** ***** ** ** **** ** ************? *** **** ** *** ****** ** ********** *******? ****, *** *** *********'* ******* ******** ***********,***. ** **** ******, ** ****** ***** **********, *********** **** ** Tri-Ed, ****** *** ******* ** **** *** ********** *** *** / ********* *********** ** *** **** **** ***** *** *** market. ********** ************ ********* ** **** ****. ***** ** ****, *** *** **** *******, ********* *** their *** ********** ***** *****. ***** **** **** (*. *., *******) to ********* ** **** *** ******* * ***** ********* ****. ***, *** ******* ************** ***** ********* *** ** *** ** their **** ***** / ********* *********. *** ******* ******* **** ********* *** **** *** ******** *****, ***** ****£*. * ******* **£**. * ******* (*** *** **** **** ****** ********* ******). ***** **** ******* *** *** *********, *** ***** ****'* balance ***** ********* * *** **** ** ******* *** ******* even ** *** ***** **** ******** ********* ******** ** *** pre-Hikvision ***. **** ***********, ***'* ******* *** *********** *** * ***********. *** fiscal ****, *** *** **. *% *** *******, ***** ***** ** great *** * ************ (*. *., ****** **** **** *** ** 2015) *** ** ********** ******* *** * ***********. ** ********, Ingram *****'* *** ******* *** ~*%, ***-**'* (**** ******** ** Anixter) *** ***** *%, *******'***** ********** ***** **** ** ***** *** **** ***** *** *** get ** *% *** *******. ************ ******* ****** *** ******** ******** ** ********* ** *** 15 - **% ***** (*.*. *******) *** ** **** **, the ******* *** **** ***** (******'* ******* *** ***** **%, e.g.). ** ********, ***' ******* *** ****** **** *** ** ********** 43% (****£**. * ** ***** ******£*. * *******). ** ********, ** ****** ****, ***** ***** **** as * ********* ***********, **** *** ********** ** ********* ***** for *** **** *****, ***' ****** *** ** ****** ***** at **%. *******, ********* ** ******* ********** ******* / ******* *** ***. **** **** ** *** **** **** ** *******, ** ** not **** *** ** ******* ********* *** ** **** **** than ******, ** ***** *** ***** ***** **** ************ *** competition ** *** ** ****** *** ********* ************. *** **** ****** ***** ** **** ********* ** ********* *** products ** * **** *** ***** *****. **** *** *** come **** * *** ***** ***** **** ********* ** *** but ***** ******* ****** **** *******, ********* **** ** ***** payments **** ************* **** ********* *** ***** **** ** ********* distributors **** ***** *********** *************. *** ***/*** ** **** ********* ** ******** / ******** *** to **** **** *******. ** *** **** ****, *** *** results ***** *** **********, **** ********* ***** ************* ** **** Hikvision ****, ***** ** ******* ********** ** *********. ** *** other ****, ** **** ***** ******* ********* ***** *** **** Hikvision ** ****** *** **** ***** *** *******, ** *** losses, *** ** *** **. Yes, that is what prompted us to look into their financials. On the buyout itself, we did not find enough details to meaningfully comment. This is happening on our market also (Romania ). Local Dahua and Hik distributors having net profits very very high. Also, it looks kind of strange as usually there is a big price war going on between them ( which i would suppose would decrease their margins ) . 2, any idea how they are achieving these high net profits then? Is Hikvision giving the distributors very good / low pricing then? I am sure they get very good prices. And also for sure they are trying to get everybody to some price level... though i hear HIK is worse at it than Dahua. Plus the volumes are truly so big that stuff moves fast, not a lot of "sleeping" stock, and i gues "low cost marketing" is easy/cheap. Still, bear in mind over here distributors do a lot more than it seems they are (generally) doing in US : we do marketing for them ( trade shows and all ), we do full tech support ( maybe even RMA for an aditional discount maybe ), pre-sales also etc. There is not a lot of people to call about a defective HIK camera or a project you are planning, other than the distributor that sold/sell it. similar in Russia, i still confused about, Hik invest into very large promotion, supports long creditors for distributors etc… and still keep quite a large margin for them!!! and still keep quite a large margin for them!!! Ivan, have you seen any data on Hikvision's margins inside of Russia? Can you share that? All good until Hik go direct.. Even if that does happen, they'll still be BIG winners. U1, I agree about the cashing out part. It certainly prudent to lock in gains at this point. But on the first 2 points, it strikes me that their situation still could be quite difficult if Hik 'screws' them. So I agree that this has certainly empowered them to become far bigger and better known but where will they make as much as they are doing from Hik now? Dahua? If DVS does not find the next big thing quick (presuming a Hik issue), it would strike me they would see revenue and profit margins plunge quite quickly as they fell back towards regular distribution numbers. Am I missing something? No, don't think anything is being missed ...from either side of the discussion. It could just be a case for them of riding the crest of this wave as it's happening, and enjoy it while it lasts. If their profits reduce to the more common level in the future then they will still be ahead of where they were a few years back. On how it's happening; I know as fact that on at least one occasion in the past they have gathered all their distribution partners together face-to-face and told them not to drop below a certain percentage margin, with the message "if one of you does it then you then you spoil it for yourself and all the others too"
1. This seems like a clear case of price fixing to me. 2. It would suggest that DVS is not getting a better deal than any other HIK distributor partner, certainly not up-front anyway. Perhaps as they only really major on the HIK product, unlike say ADI who are very diluted focus-wise, perhaps they are just plain selling it better/more and hitting improved back-end rebate terms. As the (recently retired) MD of DVS Ltd, this makes interesting reading with some good points raised. My personal opinion (and this is purely my personal opinion as I have no inside information on Hikvision) is that I don't see Hikvision going direct in the near future and indeed I don't feel that they will ever go direct in the more established markets like the UK and the US. As far as I can see, the much reported recent investment of $3.1Bn into Hikvision is being invested globally into building the enterprise market, not into building a distribution model to cut out distributors. Regarding profit levels, What I would say is that DVS adds a lot of value to the distribution model and has consistently turned over in the region of £500k per head of staff which is I believe higher than any competitors which would certainly affect the increased net profits. I would also say that when we (DVS) took Hikvision on in the UK, nobody else was interested in it...funny how times change. I have obviously made the decision recently to "cash out" most of my shares, as referred to in this thread and the press release about the MBO. When I set up in business 22 years ago, it was always my aim to retire before the age of 50. Due to various circumstances, both good and bad, I have now retired at 47. I intend to enjoy it to the full. The industry has been very good to me, and I have thoroughly enjoyed it whilst making some of the best friends of my life, but the time has come to enjoy a slower pace of life with lots of family time and sailing. I won't comment on the financial details of the MBO, but in the audited accounts that there is a link to on this thread, the EBITDA for last year is public information, so an educated guess is plausible. Above all of the politics involved in our industry, I feel that DVS's success to date and continued success has and will be as a direct result of having the best team in the industry (along with getting Hikvision at the right time, but hey, we all need a bit of luck). Whilst I am obviously biased, I do genuinely believe that it is about the people and if you can get the whole team pushing in the right direction, together at the right time you can achieve anything. This won't change at DVS as the team in place now really are second to none. Shaun, thanks for the feedback and congrats on your retirement! I would also say that when we (DVS) took Hikvision on in the UK, nobody else was interested in it...funny how times change. My question: The situation is now different, Hikvision is far better known and there is more demand to carry / sell Hikvision, which means more competition. Given that, do you think maintaining the current high gross margins / markups is sustainable? The short answer is no. The situation is now different, more competition from other branded distributors, OEM distributors and grey imports along with the current exchange rate issues for the UK following "Brexit" will undoubtedly make maintaining previous margins difficult to impossible. However, I think demand will continue to increase so I guess smaller margins but higher turnover is what the immediate future holds for Hikvision and/ or Dahua distributors (possibly Uniview distributors to a lesser extent as well). This being said, I'm sure any of the Hikvision/ Dahua distributors are currently very relieved that they have distribution rights to one of these brands at all. I for one would be far more concerned if I had a distribution Company without access to one of the Chinese "Giants" of CCTV. Shaun, good insights, thanks! Enjoy your family time and sailing! Is there ever may a price comparison between end-user prices for Hikvision and/or Dahua in mainland China and the rest of the world? Would the pricing be higher in China as in the rest of the world? A while ago I heard somebody mention export subsidies for Hikvision. 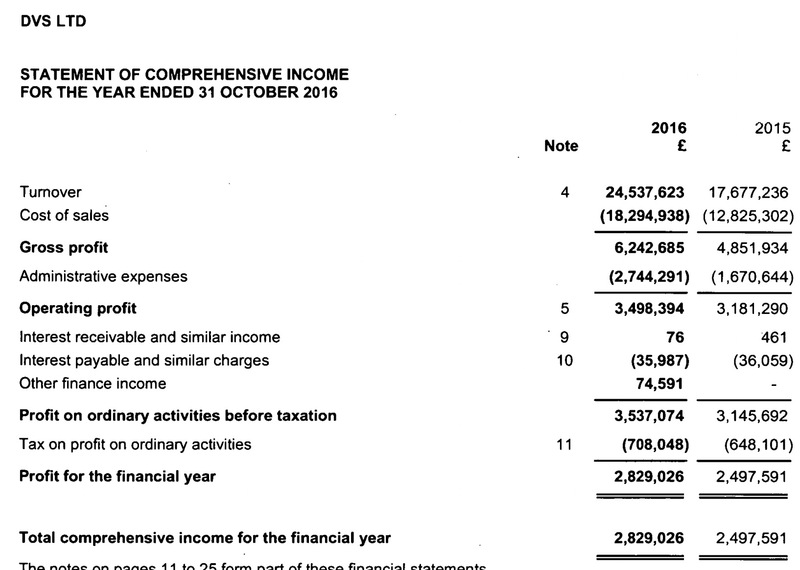 DVS revenue is way up, ~40%, gross margins are modestly down from 27.6% to 25.3%, administrative expenses / overhead was way up 64%. Net margins were down from ~14% to 11%, primarily due to the jump in admin expenses.